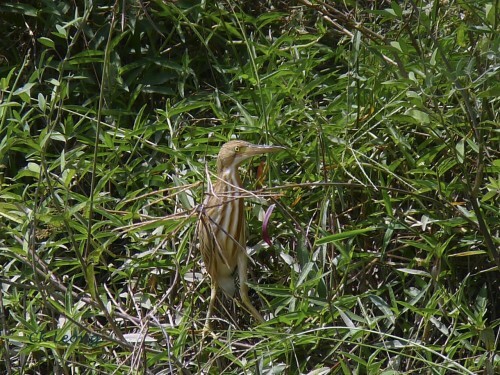 The Yellow Bittern Ixobrychus sinensis must favour the weather here. While it has been a common winter visitor here, there are now lots more of this species resident here. Active in rice paddies and grassy wet areas, it is easily identified by its black flight feathers against buff wing coverts. It has a territorial call but during all the occasions I have seen it, it remained silent.